Connection cable for SATA drives. 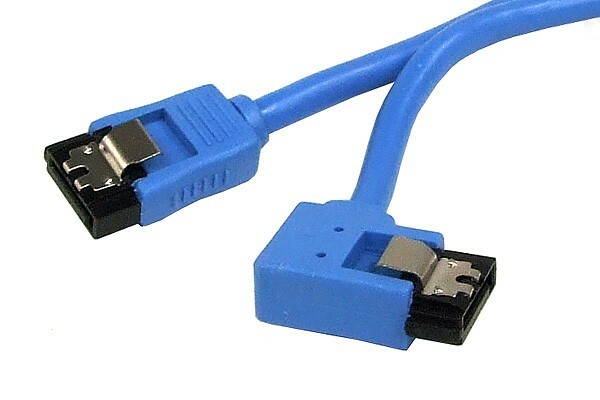 This cable is suitable for connection of the Mainboard or SATA controller with SATA drives such as HDDs or optical drives. Please make sure that both your drive and Motherboard/controller are SATA compatible, this cable cannot be used for IDE components. This cable is extensively shielded and insulated which makes it perfect for PC applications. One connector is straight, the other is angled to the left to allow easy connection inside of the system.